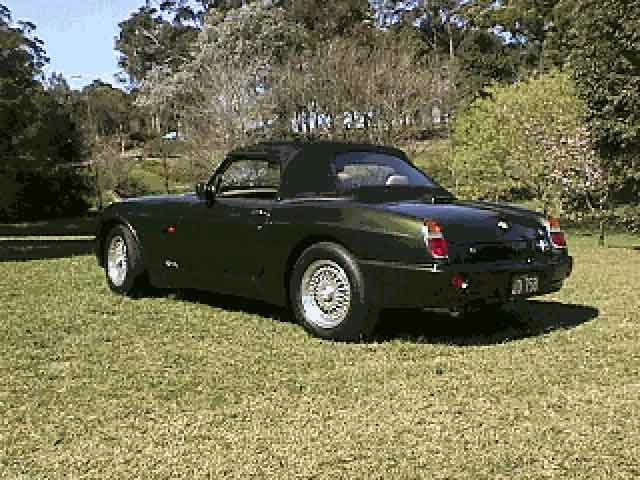 The MGRV8 was designed and built by Rover as a precursor to the planned arrival of a new main stream sports car the MGF. The RV8 was always going to be something special, being much more luxurious and expensive than any of its predecessors. Rover planned and researched this vehicle with 3 main aims. 2. 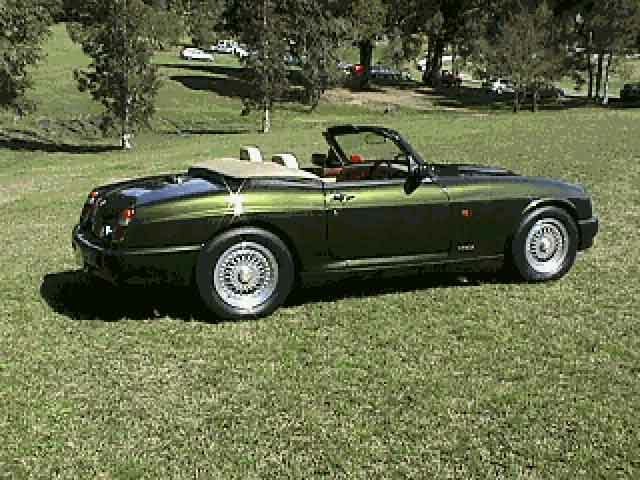 To act as a precursor to an all new MGF sports car. 3. 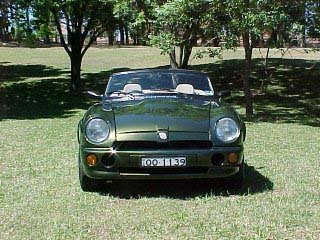 Tto remind the public that the MGB had been the best selling sports car of all time. Thus in designing and formulating the RV8 it was only natural the MGB would play an important part in this limited production sports car and its influence can be plainly seen throughout. Rovers management also felt the MGB influence would be favourably received by the traditional MG owners and the MG faithful. To cater for the modernists, the suspension and handling were updated along with the introduction of a modern fuel injected V8 engine and a 5 speed gearbox to provide exhilarating performance. 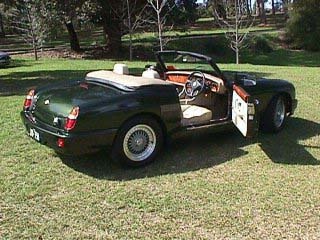 A Rover Special Projects unit, (under the code name of ‘Project Adder') working on a very limited budget produced to their credit a high quality, luxurious classic sports car. The flowing curves and bulges give the RV8 a modern purpose built profile which beautifully accommodates the powerful fuel injected V8 engine and larger wheels and tyres. 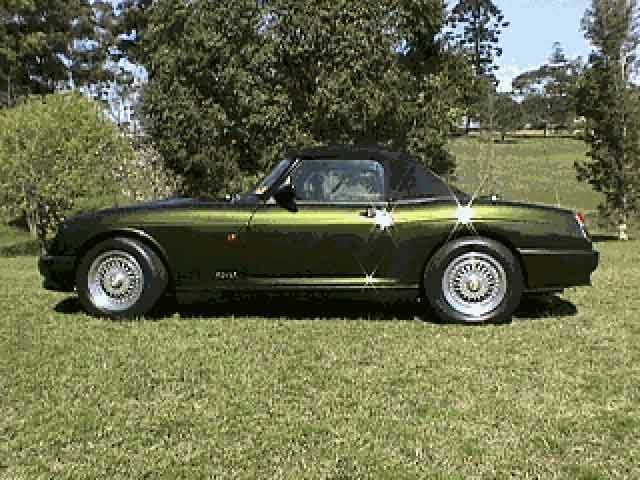 The RV8 body was formed by laying clay over a British Heritage MGB body shell. 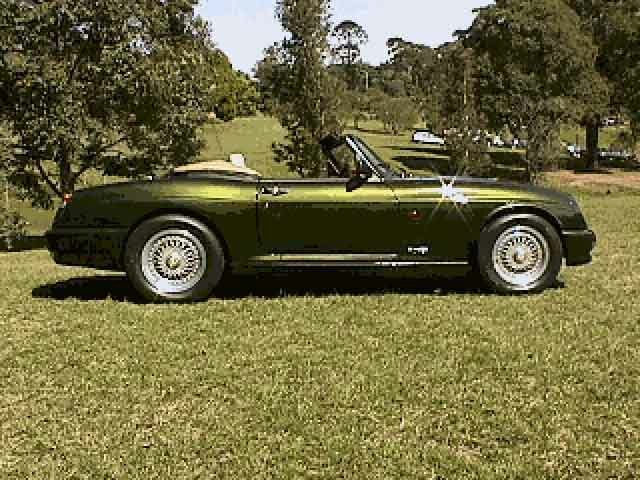 The clay was then carefully worked and sculptured until the final MG RV8 shape evolved. The handsome curves and bulges of the RV8 are said by some to resemble an MGB on steroids. Whatever the case all agree the whole car is well proportioned and accommodates all the modern improvements beautifully. 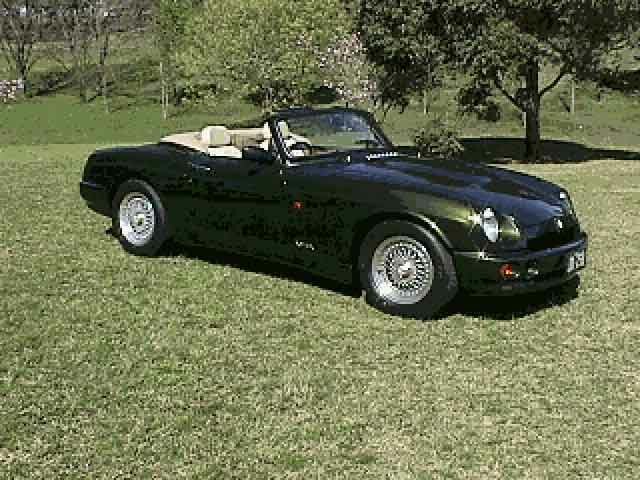 It is also important to mention the new MGB British Motor Heritage body shells are still the basis of the RV8 body. However these new shells are much better produced using modern methods, which include zinc coating the body panels for better rust and corrosion protection. The bodies are then finished with the application of a very high quality paint. The most striking interior feature of the RV8 is the beautiful veneered Burr Elm woodwork which adorns the dash, centre console and door cappings. The handcrafted interior is further complemented by the extensive use of high quality magnolia Connolly leather which embellishes the cockpit giving a very luxurious look and feel to the whole interior. 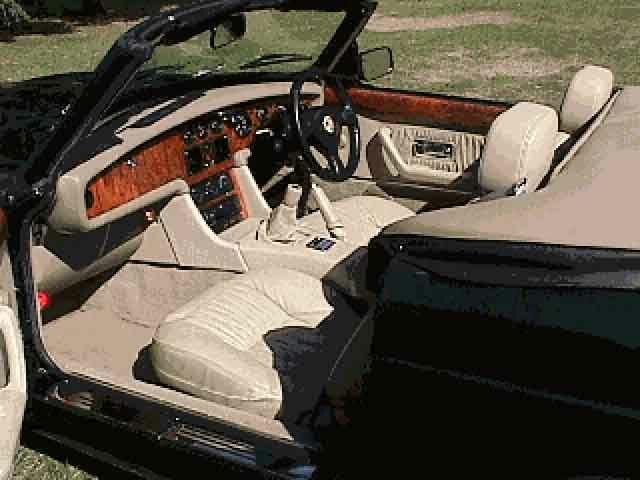 The woodwork and leather are further enhanced by the lavish thick pile carpet all of which contributes to a very traditional high quality British sports car. most of the boot space. The interior of the boot is fully carpeted and the boot lid released by remote control. The hood is made of high quality woven material, which also provides good built in insulation properties. With the hood up the cabin is warm and cosy in winter whereas in summer the air conditioning provides a cool and comfortable environment. For both the driver and passenger the visibility is good and definitely not claustrophobic. When the hood is lowered it folds neatly behind the seats and is covered by a purpose made cover which is standard equipment. 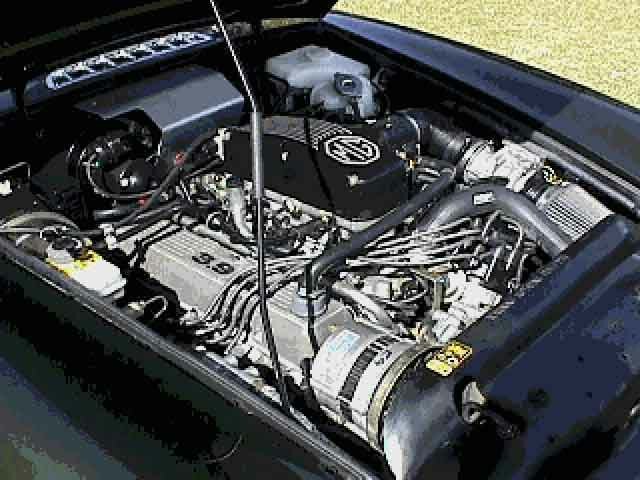 To raise and lower the hood is a simple one person operation. When driving with the top down some wind buffeting is experienced, however by winding the side windows up considerable protection can be gained. Hardtops have just started to enter the UK market, but with a price of around 2200 British pounds they are very expensive. With only 2000 MGRV8's in the world these modern day classics are always going to be in high demand. With a new price of 26,000 British Pounds the RV8 was very expensive and certainly deterred many potential buyers. Even today good low miles / kilometre examples are still expensive at around 15,000 Pounds, however with the importing of RV8's back into the United Kingdom from Japan the prices have dropped a little. RV8's will never be cheap and can in many ways be compared to the limited production MGA Twin Cams which are also rare and continued to command a premium price. Valve Gear: single camshaft 2 valves per cylinder. Performance: 0 to 100 kph in 5.9 seconds. Shock absorbers with anti-roll bar. Rear: live rear axle with twin taper leaf half elliptic springs and Telescopic dampers, twin lower torque control arms with Anti-roll bar. Brakes: Front: 270 mm ventilated discs. Rear: 9" drums - servo assisted. Weight: Gross weight 1280 kgs. * 3,950cc Rover V8 Fuel Injected Engine. * Luxurious Connolly leather interior with beautiful Burr Elm veneered dash, console and door cappings – lush thick pile carpets. * Exteriors finished in highest quality paints. * Zinc coated body panels. 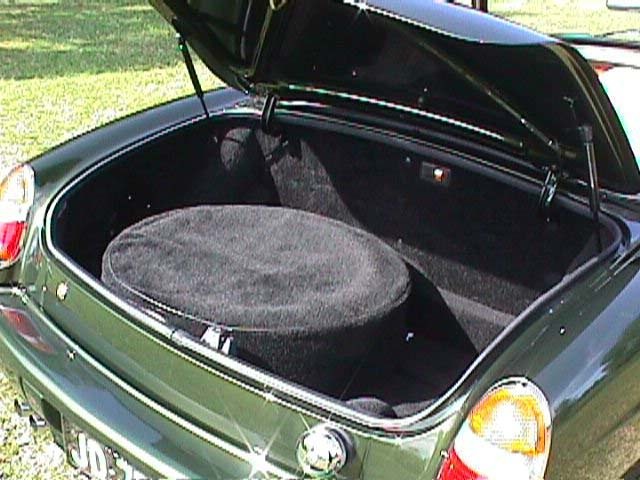 * Fully carpeted electric operated boot. * Ergonomically designed cockpit with all instruments and controls with in easy reach of the driver. * Remote Immobiliser, Alarmed doors, bonnet, boot and volumetric sensor. * Stereo AM / FM cassette (CD optional) with 4 Speaker sound system. * High hand built content using natural materials. Seating: is very comfortable and positive with loads of adjustment for all drivers except the very tall. Controls & Switches: are well laid out and in easy reach of the driver. The instruments are easy to read being black with white figures. Steering: is a little on the heavy side (no power) when parking but is light and direct when moving. Handbrake: well positioned being easy to use and access, although some drivers may feel it intrudes into the drivers space. Clutch: is perhaps a little on the heavy side, some female drivers may find it too heavy particularly when trying to engage reverse. Handling: on good road surfaces the car is smooth and predictable. The steering and braking is direct and positive. However when travelling quickly on rough uneven surfaces the car does tend to be thrown off line a little by these undulations. Performance: from the moment the engine fires up, the throb of the V8 starts your pulse racing. The power and acceleration (0 – 100kph in 5.9 seconds) is awesome. The gearbox is a delight to use with well chosen ratios. However despite all this power and performance the car can still be driven sedately with the V8 pulling smoothly in any gear. Owners wish list: the inclusion of rear wheel disc brakes, larger fuel tank and independent rear suspension should have been included in a vehicle of this quality and price. Summary: The MGRV8 is a true British sports car for the enthusiast – a modern MG classic in every sense of the word without any drawbacks - a car which begs to be enjoyed and driven.